Windiest (10-minute mean) 61.6 knots, in August (64 knots = hurricane force). Maximum gust 83.2 knots, in August. Medivac of a Norwegian ship crew member, in January. 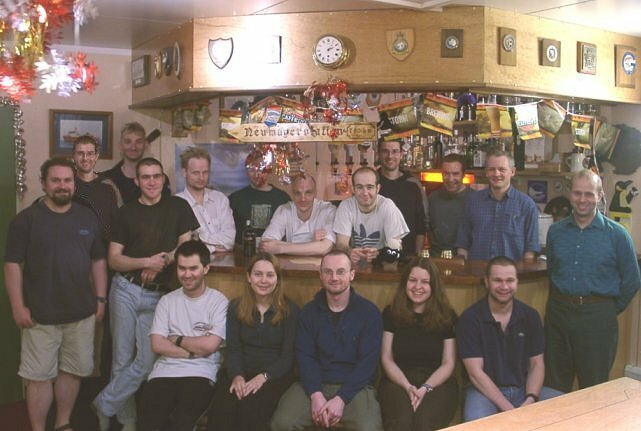 The Wintering team of 2001. Front row: Jamie Kier, Cathy Moore, Dan Carson, Liz Hudd, Mark Ryan. Why are there 17 people in the photo, when there were only 16 winterers? Find out here. More pictures by Andy Rankin. Melt tank filling from the Halley Diary. 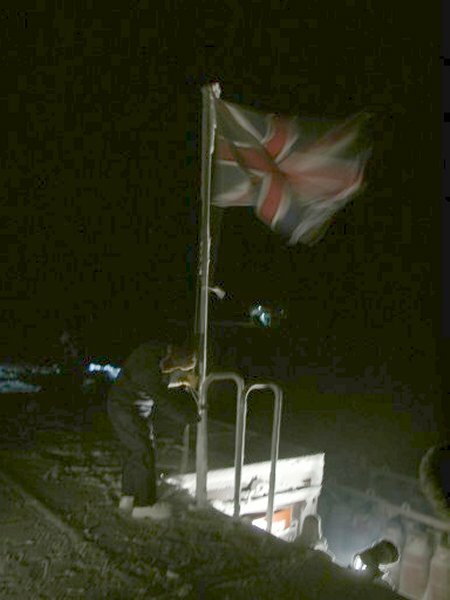 At the site of Halley 4, from the Halley Diary. Bicycle trip by Steve Buxton, from the Shackleton Diary. 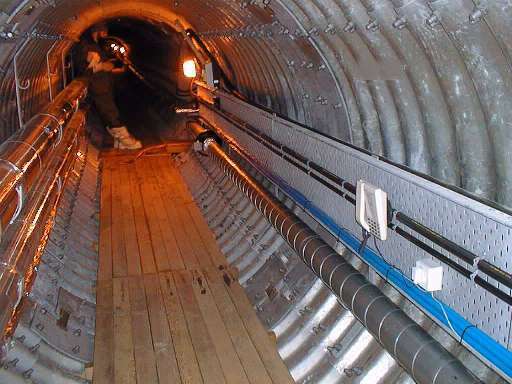 Richard Borthwick working in the tunnels and emerging from the melt-tank chamber. Cathy Moore & adelie penguin, from the Halley Diary.